The album is released internationally today, January 15, 2016, on Mercury Classics/UMC. 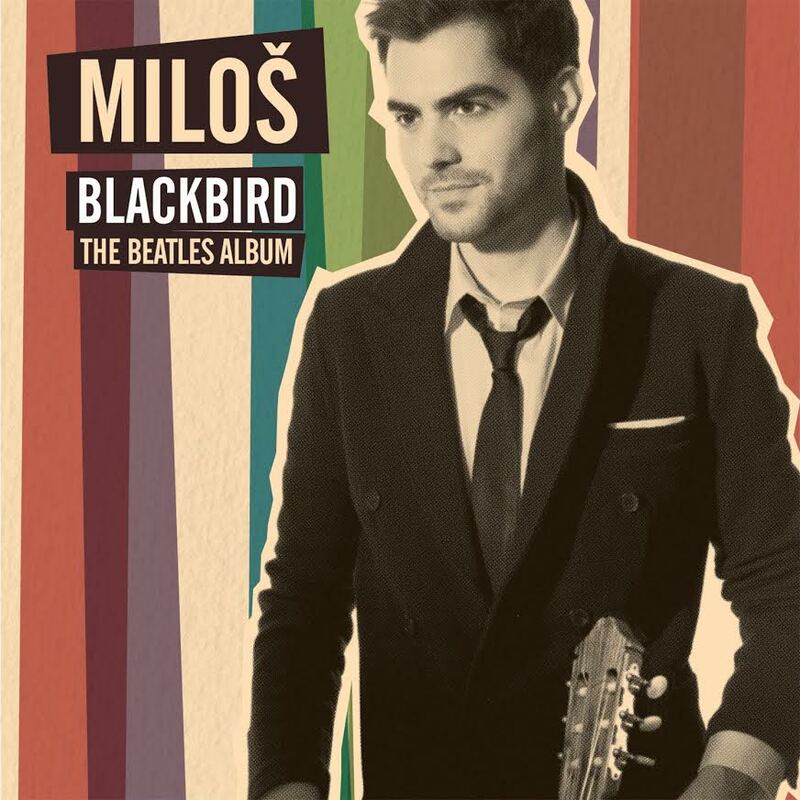 For Blackbird – The Beatles Album, Miloš collaborates with celebrated artists from the varied worlds of pop, jazz and classical, including Tori Amos (‘She’s Leaving Home’), Gregory Porter (‘Let It Be’), Anoushka Shankar (‘Lucy in the Sky with Diamonds’) and Steven Isserlis (‘Michelle’). Brazilian guitarist-composer Sergio Assad did the arrangements on all tracks (with the exception of “Yesterday” which is by the Japanese composer Toru Takemitsu). Tony Award-winning orchestrator and composer Christopher Austin contributed string arrangements on three tracks, and jazz bassist Chris Hill (who has worked with Jamie Cullum, Annie Lennox and others) provided improvised bass parts to several songs. Blackbird – The Beatles Album was recorded in Abbey Road’s famous Studio Two, the very same studio where so much of the original Beatle music was recorded. You can read more about Milos and his music here. OK. Now to our competition. On which Beatles album did the song ‘Blackbird’ originally appear? This entry was posted in Beatles, Beatles Collecting, Beatles Music, Beatles Related and tagged Beatles, Beatles Related, Miloš Karadaglić, Music, The Beatles Album by beatlesblogger. Bookmark the permalink.